Amazon has kept its lead in the fast-growing global market for smart speakers powered by artificial intelligence, but Google and others are gaining, a market tracker said. A survey this week by Strategy Analytics estimated that Amazon sold four million of its Echo speakers powered by its Alexa digital assistant in the first quarter of 2018, for a market share of 43.6 percent. Amazon's sales doubled from a year earlier, but its market share slid because of stronger growth from others, especially Google. 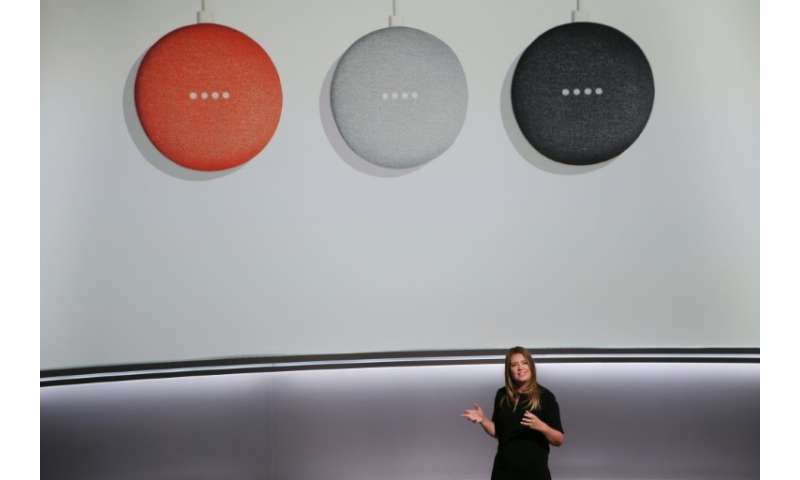 According to the report, Google delivered some 2.4 million of its Google Home devices in the quarter, a sevenfold increase from a year ago that gave the internet giant a 26.5 percent global market share. New entrants are seeing fast growth in connected speaker sales, notably China-based Alibaba and Xiaomi in their home market, and US-based Apple. According to Strategy Analytics, a total of 9.2 million units were sold in the quarter, representing growth of 278 percent from a year ago. The estimates, which come in the absence of official sales figures from vendors, confirm the trend of sizzling growth and Amazon losing some of its early lead. David Watkins, director at Strategy Analytics, noted that Amazon and Google accounted for 70 percent of global sales, down from 94 percent a year ago. "This is partly as a result of strong growth in the Chinese market for smart speakers, where both Amazon and Google are currently absent," he said. "Alibaba and Xiaomi are leading the way in China and their strength in the domestic market alone is proving enough to propel them into the global top five." According to the report released Thursday, Alibaba was third with a 7.6 percent market share, followed by Apple at six percent and Xiaomi at 2.4 percent.